Can you believe I can talk?! No really! We may not speak the same language, but I definitely like to chat up a storm! Just like that famous talking horse of the same name. 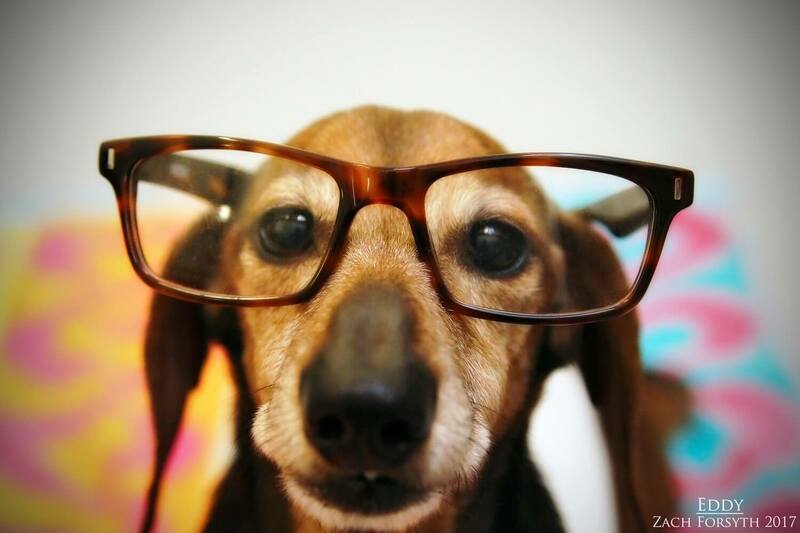 The name is Mister Ed and I am a 10 year old doxie looking for a quiet owned home to retire to. I have led a very active life and am now in full blown snuggle mode-which is my absolutely favorite thing to do mind you. I enjoy my afternoon potty walk around the block and then it’s back on your lap for some TV time! I enjoy meeting new people and don’t mind hanging around other mellow dogs, cats, or kids over the age of 10. I am also quite the fashionable old man with my new Fetch reading glasses and getting all warm in my new car-DOG-an! Cardigan–get it? Ha! My dad jokes are always here to entertain. And that’s me! A hilarious, cuddly, trend setting doxie with a big heart. No seriously, there is literally a big heart on my new sweater. Ha! Did it again! Fill out an application today, so we can meet! I come to you spayed, neutered, vaccinated, micro-chipped, and a recent dental with an adoption fee of $250.